Designer's Blog: An open air terrace bar ambience par excellence. 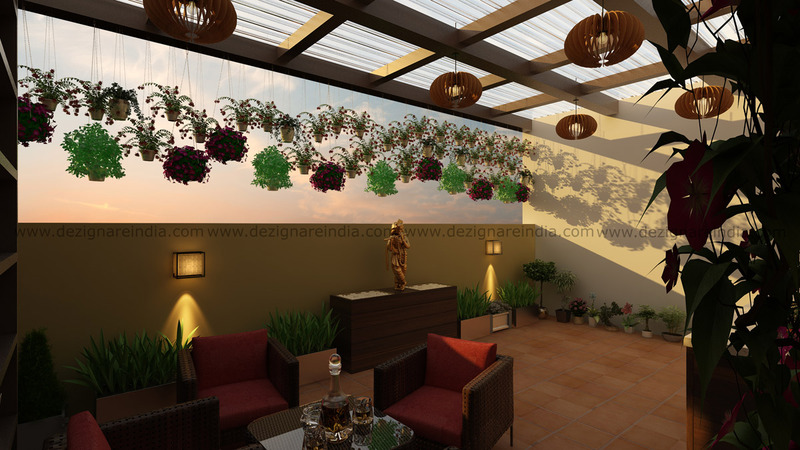 The overhead hanging greens and the wall lights make up for the perfect setting for the perfect evening over some drinks. Designer's Blog : Storage of crockery is an eyesore no more. 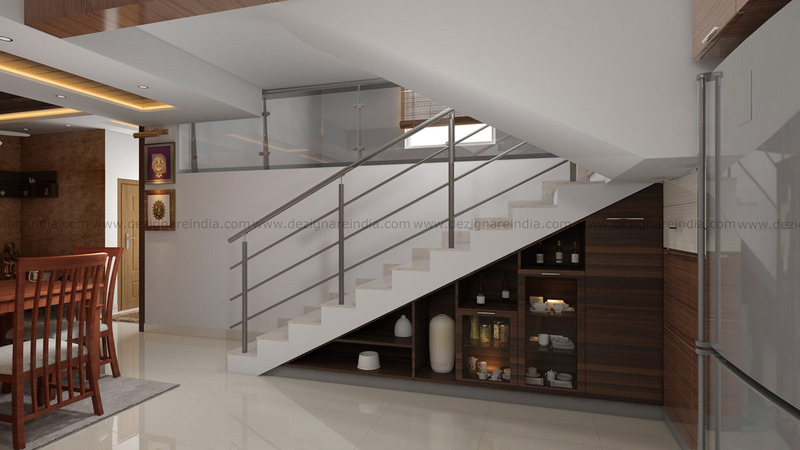 The wooden under stair storage space adds a style element as a perfect crockery storage space. Be ready for storage space maximization envy from guests. Designer's Blog :The living room is both colorful and stylish at the same time. 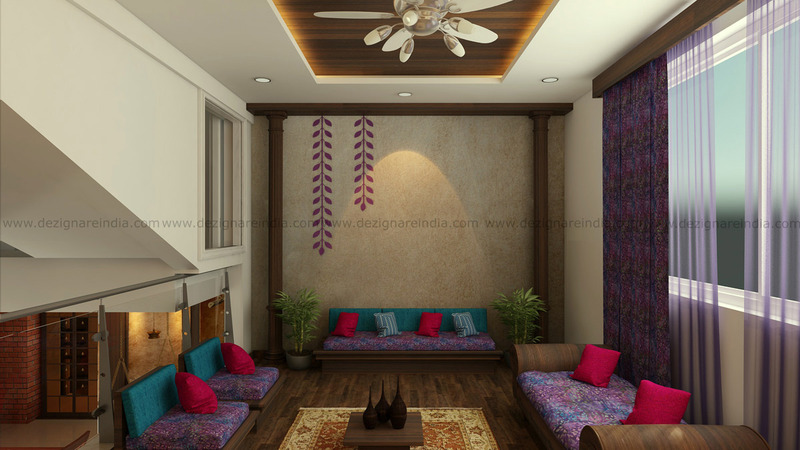 The wooden flooring and the wood ceiling adds a sense of style while the large window and multi blade fan adds a sense of aesthetics. Designer's Blog : A large window, a low cushion seating area and some adjoining greens all make for the perfect family space. 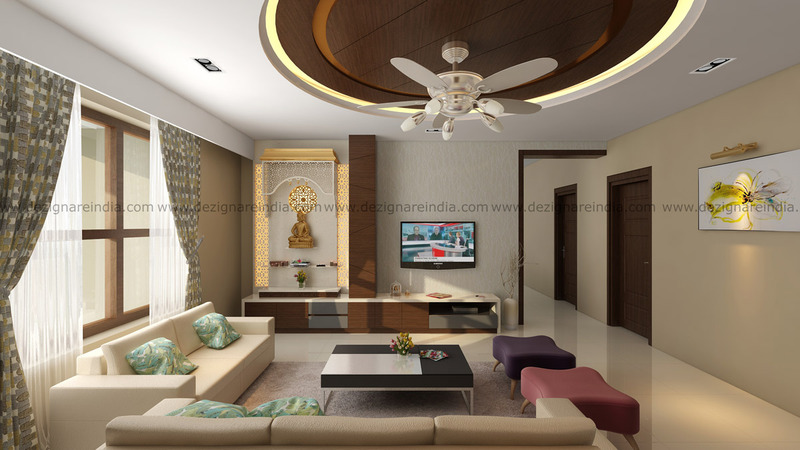 Now conversation can happen over living room seating rather than on the dining table. Designer's Blog: Guests need their own space and this design underlines a dedicated work desk for the guestroom. 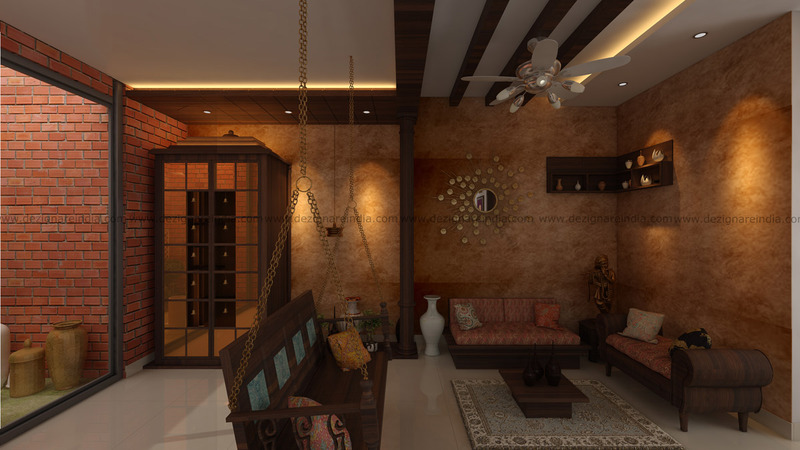 The decor element in the upper chest along with the wooden wardrobe adds a layer of sophistication in design. Designer's Blog: The guest bedroom with its wall art and simplistic design makes up for the perfect cozy space. 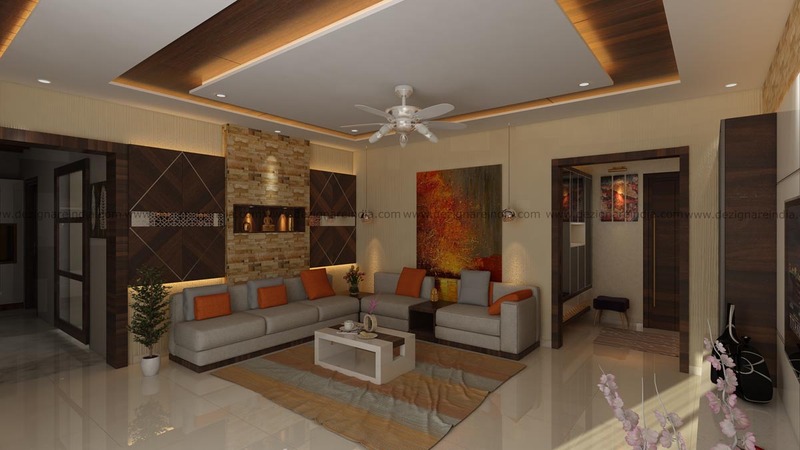 The ample natural light adds a new element of usefulness, almost a luxury in modern day homes. Designer's Blog : Designed from the heart, this kid’s bedroom becomes the favourite space for the kids. 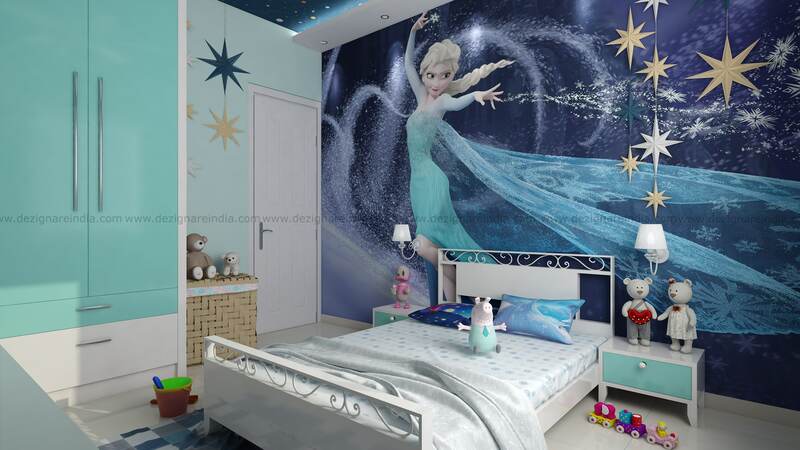 The wall art and the blue themed design is sure to take away kids to faraway lands of fairies and caterpillars. 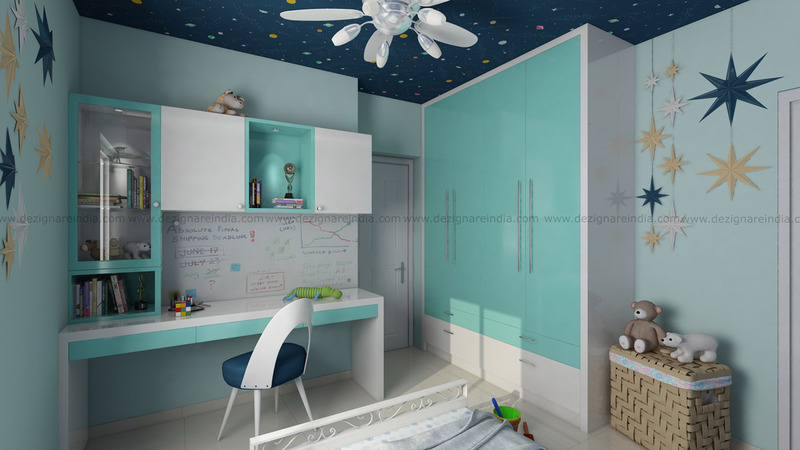 Designer's Blog : The children’s bed room is not just design but also usefulness. The work desk and the dedicated wardrobe all are based on the same theme. The ceiling wall paper ensures a sound sleep amid the twinkling stars. 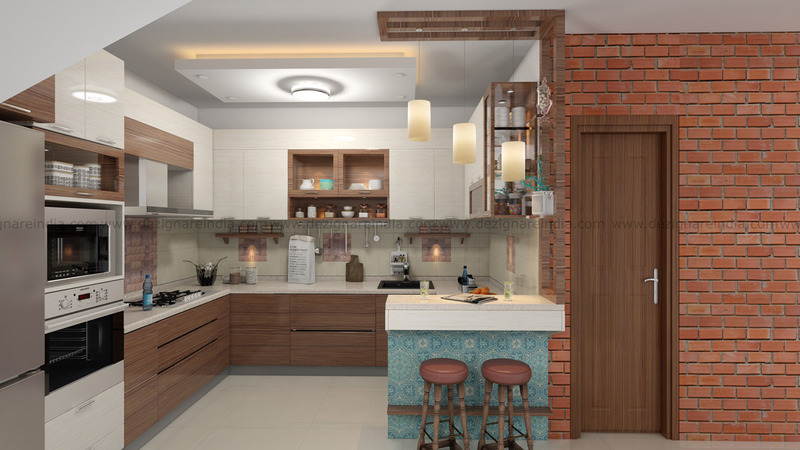 Designer's Blog : The kitchen design is both modern and traditional in the same frame. 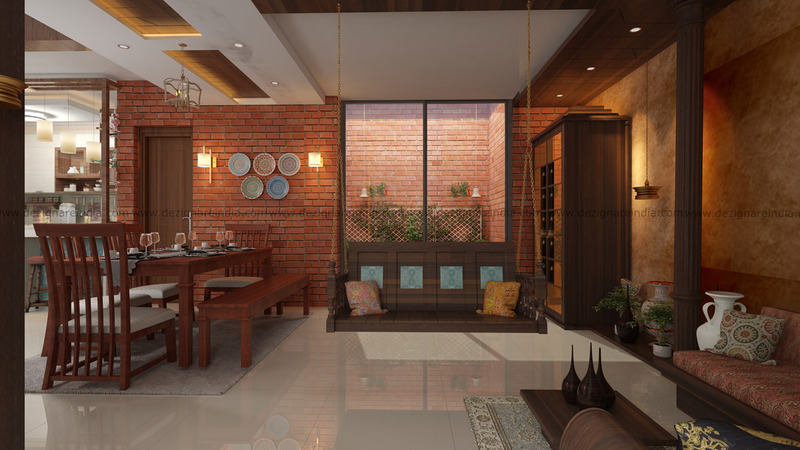 The kitchen stools make up for the quick meals while the hanging lights add a sense of design aesthetics par excellence. Designer's Blog: A wide angle view of the kitchen reflecting how contemporary and modern can coexist and offer value in decor and design aesthetics. 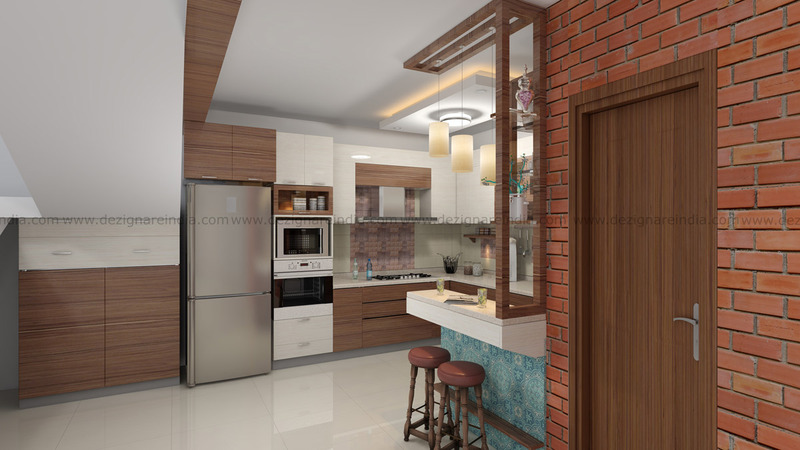 Designer's Blog: Ample storage space allows for wide room for multiple persons to use the kitchen at the same time. 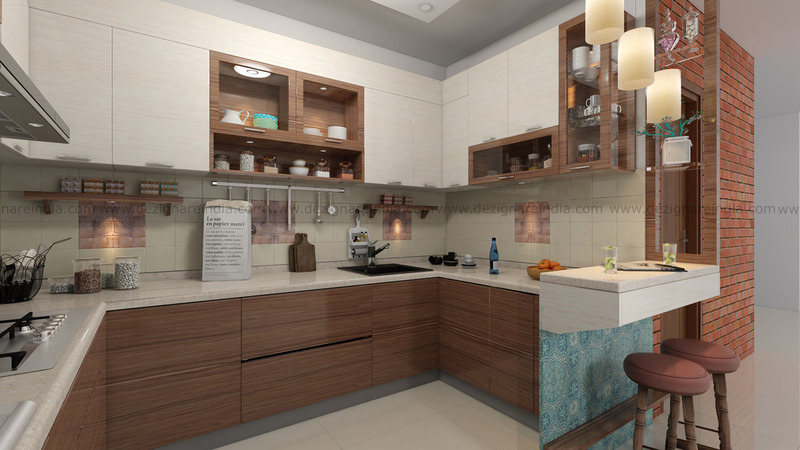 The wooden themed drawers and the kitchen seating areas make up for a perfect design essential. 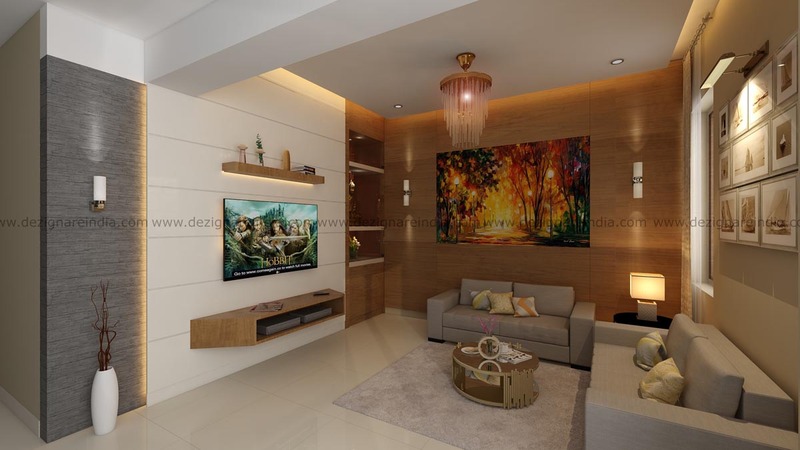 Designer's Blog : The colorful living room area based on a wooden décor essential allows for a comfort home space for the residents. 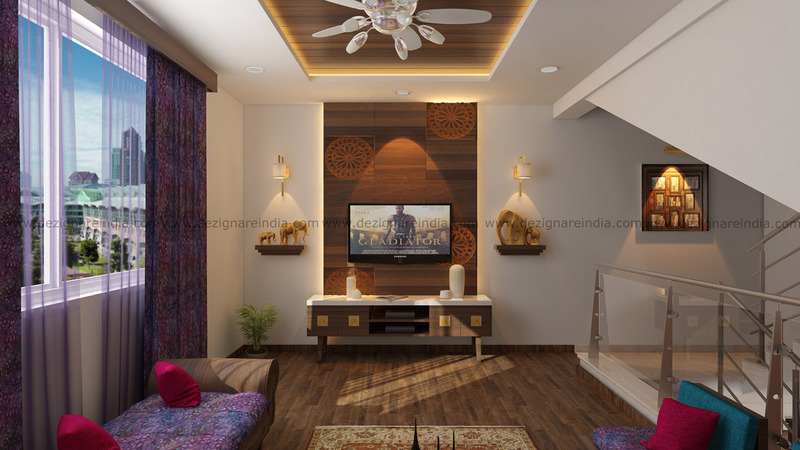 Don’t overlook the use of traditional wall décor amid the living room adding a sense of aesthetics. Designer's Blog : Warm, vibrant and cozy is this living room corner. 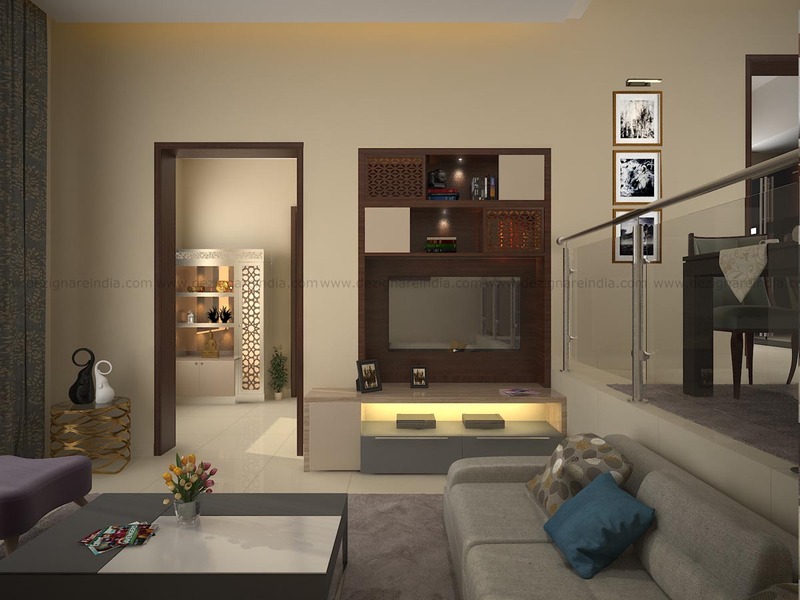 From relaxing on the hanging seating area to making use of the wooden furnishings, a living room that offers design and comfort in equal measure. Designer's Blog : The master bedroom offers a blend of comfort and elegance. 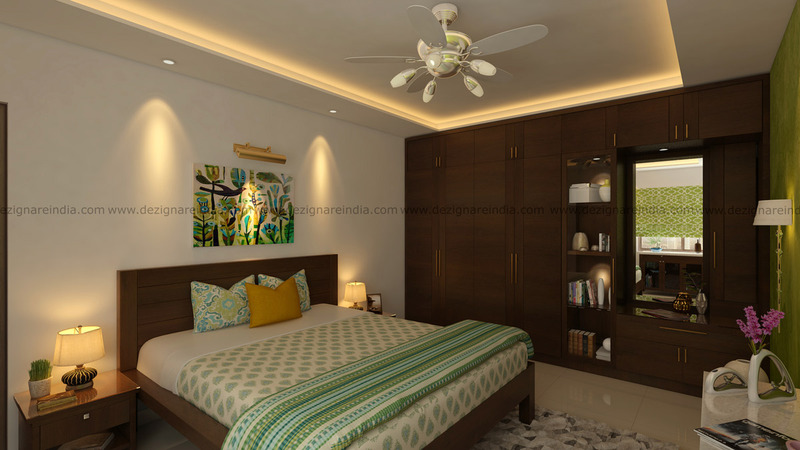 The wooden wardrobe offers ample storage while multi blade fan with lights allows for a unique interior design visual. 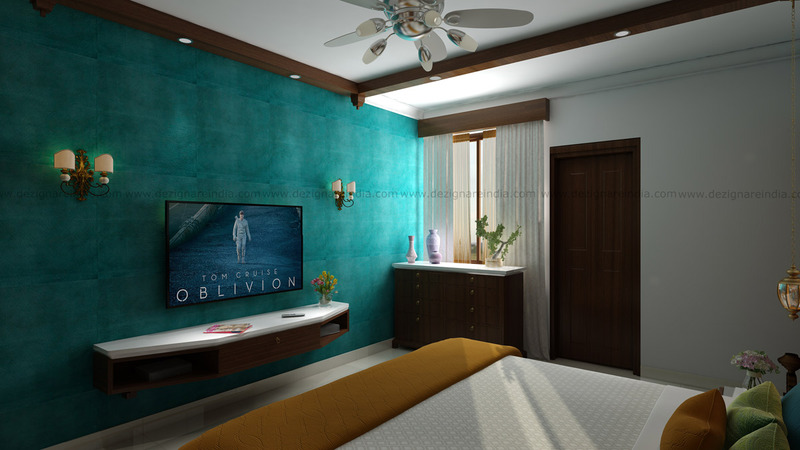 Designer's Blog: The other angle of the master bedroom with its blue walled background offers décor excellence. Hosting the entertainment areas, the bright window ushering in natural lights enhance the visual appeal of the room several notches higher. 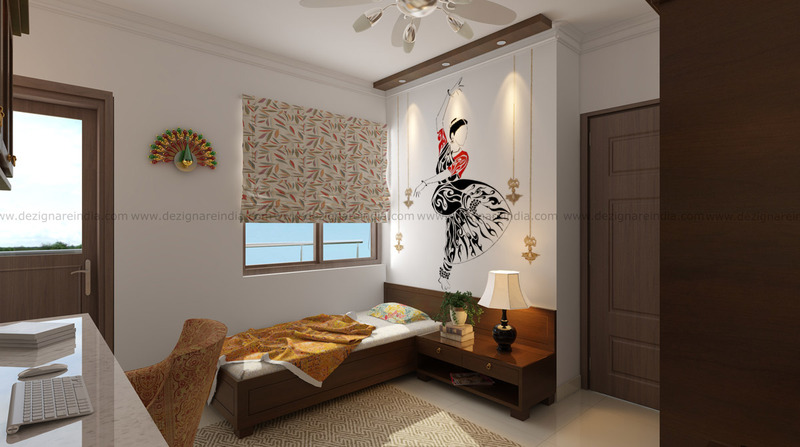 Designer's Blog : The parent’s bedroom is designed to offer comfort keeping the décor elements subtle and useful. 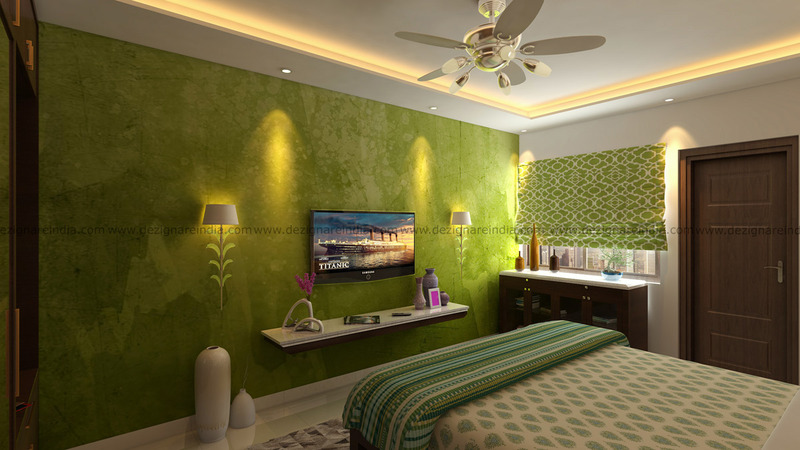 The ample lighting including wall lights ensure ample lumens while the lemon colored wall murals enhances the brightness quotient of the room. 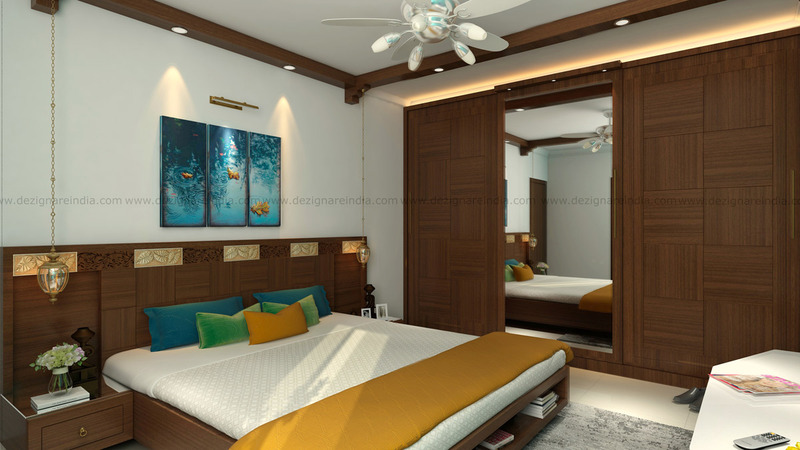 Designer's Blog : The other angle of the parents’ bedroom highlights on the comfort quotient. 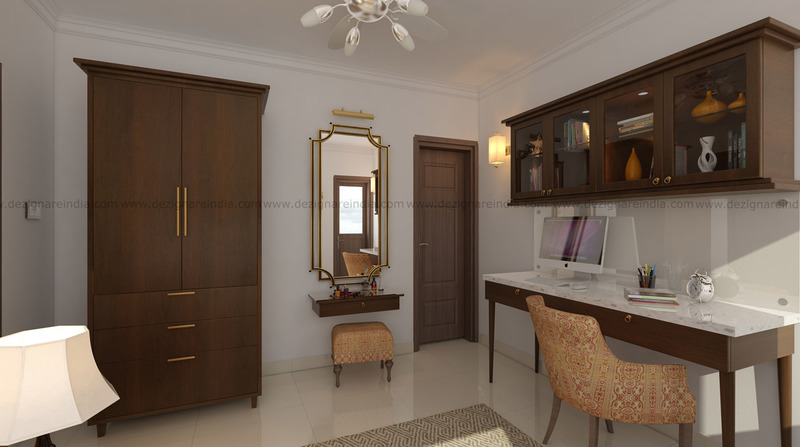 The Wooden wardrobe and low themed furnishing with rounded edges are designed keeping the comfort of the elderly paramount.